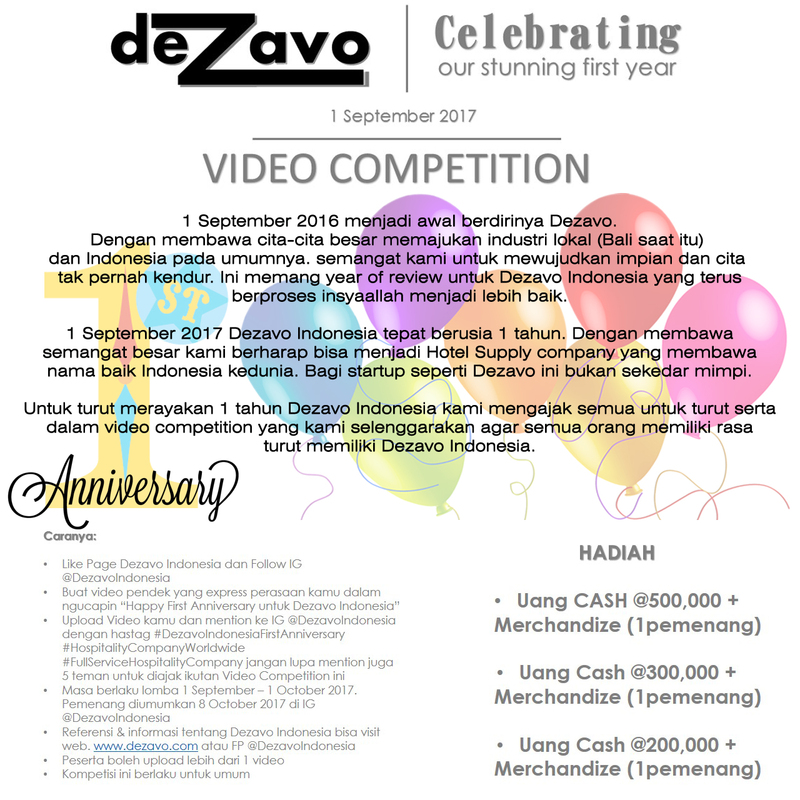 On celebrating our first anniversary, we are holding a small competition which is aimed to make everyone has sense of belonging toward Dezavo Indonesia. Dezavo Indonesia is not belong to the CEO or the founders but Indonesia! As we have said in our every discussion we wanted to present our company as a full service hotel company worldwide. This competition only for Indonesian;s citizen at the moment, but there is still probability to held bigger competition next coming event! We are awaiting for your video as a support be a part of us. How to start? you can check the flyer in this post.